Android 7.0 Nougat will receive a new feature that will effectively kill firmware updates as we know them. ‘Seamless updates’, as Android vice president of engineering Dave Burke explained at Google I/O last month, is a completely new approach to updating Android. Here are the details. Android 6.0 Marshmallow: when will I get it? As we’ve written about at length, slow update release cycles from manufacturers and telecom companies have resulted in fragmentation within the Android ecosystem. Effectively, that means Google’s latest software makes it to only a fraction of devices months, or even longer, after it rolls out. As such, recent figures from Google show that Marshmallow is running on around 7.5 percent of active devices. This scenario is not ideal for Google, nor is it ideal if you’re waiting for an update. At least if you own a Nexus device, updates could be rolling out even faster from Android 7.0 Nougat onward. With a non-Nexus device, you’d already be aware that there’s a tradeoff in the speed at which you receive updates. But the recent announcement about Seamless updates are a small modification to how new firmware versions will be released – but with significant long-term implications. What Mr Burke said at I/O about Seamless updates was relatively brief. They would act similarly to the way Chromebooks are updated, he said; namely, they would run silently in the background. This will be a different affair to the very overt, user-facing experience of pressing a download button...and waiting. In many cases, we even seek out updates to flash them ourselves, or simply just to know when they’re available. 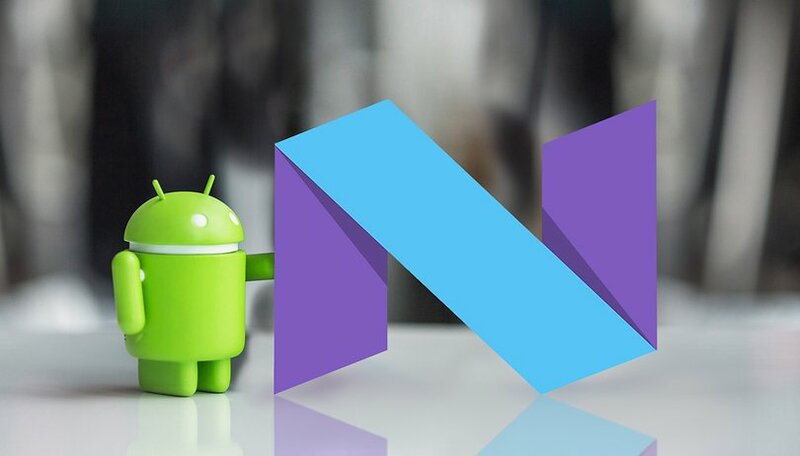 Devices built on Android 7.0 Nougat will instead have two system images. This means that when an update is available, your phone will automatically download the newest image, but in the background. Then when you restart the device, it will automatically switch over to the new system image. Note: this feature will only be available to new Nexus devices, unless Google announces otherwise. Silent background updates are not a new concept. As already mentioned, this is something Chromebooks already do. The desktop version of Google Chrome has been silently updating for many versions as well. And let's not forget that Windows 10 also downloads and installs updates in the background, even intrusively. Is this for your own good? This comes down to personal preference, of course. But one thing is clear: with the release of Nougat, Android will update seamlessly and without asking for permission. Whether this makes Android users feel more secure, or disconnected from updates, we'll have to wait and see. Are you interested in silent updates, or would you prefer to load them yourself? Let us know in the comments. This is the best news for google in years! Before reading this, i was considering when rather than if, to jump from Android to iOS - for the simple fact of how slowly, how unpredictably Android updates are rolled out of at all, to most Android devices. The consistent UI between devices we use, the core features and usability improvements (billions of people still use 4.4 KitKat vastly different than current versions), and the security patches are years out of date for the vast majority of Android users. The problem is not just with manufacturers but mostly with vendors /telcos who drag their heels in testing of they even bother release updates you users at all (eg. Virgin Mobile has to date released 6.0 to just a small handful of users, let alone 6.01 or 7.0! ), and even switching telcos would never ensure smooth timely updates with the current Google system. Most users will be blissfully unaware of this new feature, and i don't doubt it will have some glitchesbut billions will benefit from it in the long term, assuming it's rolled out to all devices updated to Nougat. Uh, the fragmentation starts after nexus devices. What good will this do for non-nexus? Hello ,what about the data consumption WiFi only or Mobile data which is very expensive 5usd in India per GB. Also if the user does not allow permission to download on Mobile data then what happens . So technically permission required and the user will know. 15 usd per GB on Verizon if you go over your contract allowance. My plan has 15GB for $100usd. You don't have it so bad, actually. Mfgs. should offer both, take our bloatware or take ASOP. This would be the best solution for Android updates, let manufacturers and telcos skin whatever they want, but AFTER we have the latest version installed. That's a great point. Take out the bottlenecks and let everyone have the latest updates!